However, corporations and businesses must have an attorney to file a bankruptcy case. It’s not necessary to appoint an attorney in order to file for bankruptcy. When you file bankruptcy on your own, it’s called pro se bankruptcy. However, corporations and businesses must have an attorney to file a bankruptcy case. It’s very important that a bankruptcy case is handled and taken up very seriously. The rules that govern procedures in the federal courts should be followed without any mistake. You need to follow each of the steps mentioned below to file bankruptcy. Determine if bankruptcy is the last resort option for you. Bankruptcy affects your credit score for a very long period of time. You should think about bankruptcy only if you’ve exhausted all other possibilities. Decide on which Chapter of bankruptcy you want to go for. All Chapters have pros and cons. Deciding upon the correct form of bankruptcy will also depend on your income and assets. Chapter 7 means all your non-exempted properties will be sold and your debts forgiven, it’s a total liquidation process. Whereas, in Chapter 13, all your your properties are saved, you need to repay your debts via an agreed payment schedule. Both types of bankruptcy are handled and monitored by a bankruptcy trustee. To file bankruptcy, it’s mandatory to complete the mandatory credit counseling course. Credit counseling must be completed during a period of 180 days before you can file for bankruptcy. If your case is filed without the credit counseling, it will be dismissed before you obtain your discharge. You’ve to keep a record of your assets and liabilities, current income and expenditures. Along with it, you also have to submit other details like all debts included in bankruptcy, executory contracts and unexpired leases, schedule of exempted assets. You’ll have to submit all of this in the bankruptcy court with your petition. 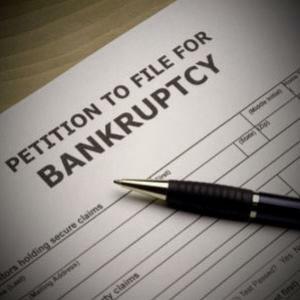 You need to file a petition with your local bankruptcy court and submit all the documents with you. Once the petition is filed, your creditors will not be able to send lawsuits, garnish wages or contact you demanding payment. It’s important to handover a copy of paycheck stubs and your tax return to your bankruptcy trustee, atleast seven days before your creditors meeting. It’s very important to attend this meeting. A meeting of creditors is held within 20-40 days the petition is signed. You should be ready to answer all the questions coming to you in the meeting. The creditors you owe might ask you any question regarding your financial affairs and property. You should be sound and ready to answer all questions honestly. Although this is a rare situation, especially if all your debts are unsecured. Creditors generally do not send representatives to surround you at the meeting. The main key of bankruptcy is disclosing all the facts. You shouldn’t hide anything from your creditors and at the same time be true to them. a. You shouldn’t drain your retirement accounts to pay credit card bills. You’re allowed to keep retirements fund in bankruptcy. If you spend the money to pay debts, you’ll lose your retirement funds to a debt you could have done without. b. You should avoid putting charges on credit cards 90 days before filing for bankruptcy. c. You should not file for bankruptcy if you intend to sell your estate or property soon. d. Do not pay any unsecured creditor more than $600 in 90 days prior filing bankruptcy. e. Do not transfer any assets out of your name prior to filing bankruptcy. f. Don’t keep more balance in your bank account than your exemptions allow you to take on the day you plan to file for bankruptcy. There are many minute details that you need to follow before and at the time of filing bankruptcy. It’s not an easy step to take and that too without the help of a lawyer. However, the above mentioned steps will surely help you in guiding through a very difficult phase of your life.